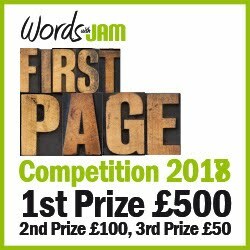 Words with JAM: Is Self-editing a doddle or is editor-speak gobbledegook to you? Is Self-editing a doddle or is editor-speak gobbledegook to you? Helen Corner at Cornerstones tells us why it’s always good to know what you’re talking about before you meet the agent. You’ve finished your dazzling, high-concept and well-written novel, you’ve sent it out, and an agent calls you and requests a meeting. 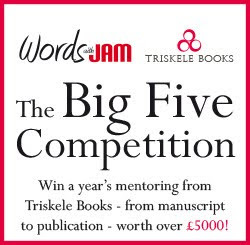 This is exciting - a chance for you to chat about your book and see if there’s a mutual rapport. You arrive at her office, where manuscripts are heaped on the desk, and sit down with a coffee while she balances your MS on her lap. There are lots of red tags on the pages, but she’s smiling so you relax. She’s just how you imagined her: professional (she requested the meeting within a few weeks of you sending the MS), approachable (but not in a cosy way; after all you want her to be ruthless at the negotiating table) and you can tell you’re in good hands. Then again, you researched and profiled the five agents you submitted to, so you know that her reputation is outstanding. In your mind, you’ve already signed on the dotted line and written courtesy emails to the other four agents thanking them for their time and informing them that you have representation. Then she starts thumbing through the red tags and talking about the book needing more work; one more redraft and a further read before she signs you up officially. She mentions strengthening your main character and introducing more tension peaks in the mid-section; and how about tightening up scene structure in general to increase pace? Oh and by the way, there’s no rush. She’d much rather see a polished MS that’s ready to go out to the six editors she’s earmarked. You might be one of the few first-time authors who thinks this is a breeze. You can manage all of this and more, and deliver within the week. If you’re confident that you can make thorough rather than cosmetic revisions, then you’re lucky. At Cornerstones we’re often nervous when authors make swift revisions as they’re rarely effective. But what if, like most debut authors, all this technique speak is meaningless? Your mind’s gone fuzzy, your hearing wobbles, your tongue sticks to the roof of your mouth and your pencil keeps slipping out of your hand. Words like ‘character empathy’ and ‘arcs’ appear on your notepad and you’re transported back to school during that awful failed French exam. One is to put up your hand and admit that you’re not sure what she’s talking about. What’s an emotional arc, exactly? This would be just about acceptable, as she smiles and takes a deep breath, but she may privately lose a bit of confidence in you - while she could teach you about self-editing, does she really have time? Or you could keep quiet and decide you’ll deal with it alone. You’ll put yourself on a crash course in self-editing techniques, revise your MS and hope for the best. This means lots of pressure to get it right, and anxiety about whether you’ll be able to deliver. Ideally, you should already be acquainted with these techniques. You’ll be confident and calm during this meeting, bold enough to take these editorial suggestions away to process later, think about the revisions that have been requested and then write a confirmation email with a proposed plan. You’ll be able to write that you’ve thought seriously about increasing the tension peaks in the mid-section, but you’d rather combine the six she suggested into three impactful ones, which are listed, and which would fit into the 3-act graph. You plan to interweave the heroine’s internal conflict more closely with the action plot in a cause and effect way right from the beginning, which should boost empathy and understanding. As for scene structure, you intend to do a ruthless prune and cut down on overwriting to foreground the climax of each scene. This should aid pace and tension overall. This course of action doesn’t challenge the agent’s suggestions, which are brainstorming ideas and open to the author’s interpretation. It shows a mutual working towards a solution that feels right for your story, where you ‘own’ the revisions. This is very important because unless you feel comfortable with your edits they’re unlikely to be effective. A combined effort from you and the agent will hopefully deliver the best for the book and demonstrate that you can work together. The agent will also feel confident about sending you off to your first meeting with your editor who will almost certainly have further suggestions. Your job is to know how to write fully. Not just to write creatively (which is mainly talent and application) but to know how to hone your work into a book strong enough to launch you into a full and prosperous writing career. It’s a rare author who can do this alone. Learning how to self-edit is not ‘writing by numbers’ as some authors fear; rather it’s knowing what components make a great story and then how, when and why you can bend the rules. Self-editing can turn a goodish book into a dazzling one. It’s a process that shouldn’t be rushed, and should be nurtured like any other part of the craft of writing. And, at the very least, who wouldn’t want a second opinion on their writing? I’m about to get Kathryn Price, Cornerstones’ managing editor, to see if this article makes sense; if it can be tightened up and repetition cut; if the beginning, middle and end is in place. Good luck in your first agent meeting, and with preparation you’ll be one of those dream authors that agents tell us about. Cornerstones is a leading UK literary consultancy. They have over 60 professional editors who specialise in guiding authors through self-editing. They scout for agents and have launched many first time writers. See www.cornerstones.co.uk for author journeys. Write a Blockbuster and Get it Published, Hodder, by Lee Weatherly and Helen Corner outlines their self-editing and submission teaching techniques. They’re very approachable so please email Helen@cornerstones.co.uk or call 020 7792 5551 if you’d like feedback on your sample material with no obligation to use their services.